This Chief Warden course applies to a wide range of settings where emergencies requiring evacuation may occur, and is relevant for people performing a leadership role in workplace evacuations, in particular the roles of Chief Warden or Deputy Chief Warden. It is recommended for any industry where skills in conducting emergency evacuations are a requirement for worker safety as described in the AS 3745-2010.. The training is conducted under the auspices and in partnership with APL Group Pty Ltd RTO 3586 t/as Australian First Aid. Additional information on this PUAWER006B - Lead an emergency control organisation unit of competency, can be found at Training.gov.au (replaces the NTIS). You may wish to have the learning and assessment outcomes of our Occupant Safey training recognised within this course competency. This accredited course is delivered in one six (6) hour session, which provides successful participants with the knowledge and skills to confidently develop risk minimisation & management strategies and be able to lead emergencies in your workplace and carry out safe evacuation. 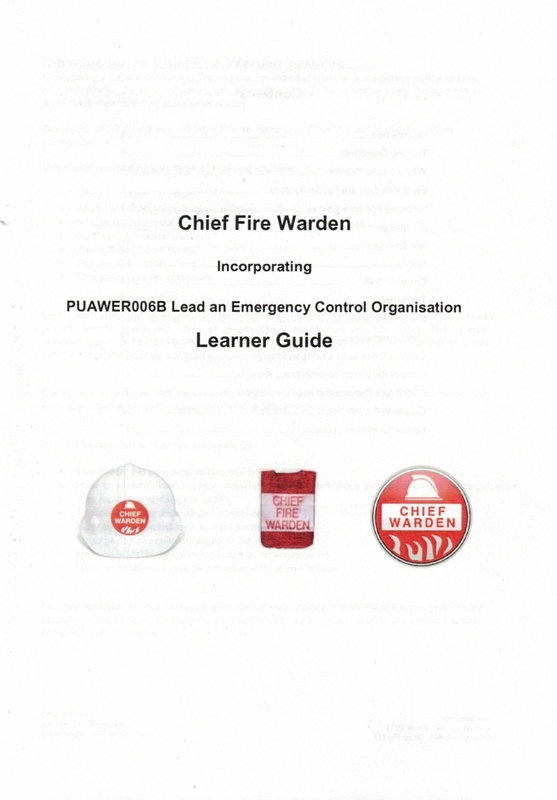 All participants receive a hard copy Chief Warden reference book to assist you in maintaining your knowledge over time. LLN support can be provided to participants on request, which includes additional face to face time with the trainer/assessor. This course covers the competency required to make decisions about people's safety during a workplace emergency and to give instructions on the priority order for responding to the emergency incident area. The course has been developed to cover the broad range of emergencies and workplaces as considered in Australian Standard 3745-2010, and is part of a suite of eleven workplace emergency response units of competency that has three streams as well as part of the workplace evacuation stream.